I would like to share what I have learned about managing dental public health projects. At the outset, it is important to define what the dental public health project is. For the project to be successful, we have to know what makes up a project, and what determines if a dental public health project is successful or not. Resources; namely: time, money, equipment, as well as resources. For example, to run a dental public health workshop you will need tooth brushes, tooth paste, a demonstration and so forth. 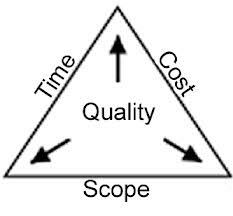 Whatever the size of a dental public health project the quality of the project has three constraints; which are, time, money, and scope. The dental public health project will be a success if it does three things. First, the outcome (improving oral health practice) has to have an agreed upon quality. Second, the project needs to finish on time and not overrun its end time and end date. Third, the dental public health project needs to remain within budget. Dental Public Health projects like other projects have four phases. These phases are initiating, planning, executing, as well as closing. During the initiation phase, the dental public health project goals are refined. The planning process details the dental health project in terms of outcomes. Planning involves making a schedule, purchasing the tooth brush as well as tooth paste resources, preparing training materials as well as providing for travel costs. The executing phase is performing the dental public health training as well as demonstrations to produce the stated project goals or deliverable in terms of outreach numbers. 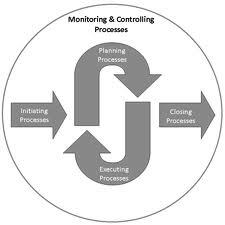 There is a project element of control as well as monitoring that I handle but would need to be more formalized in larger projects. During the closing phase, participants are thanked and the dental public health results are reviewed with stakeholders.